Ever since the arrival of Backyard Monsters at Facebook, different game developers tried their hand in the strategy game that expends units once you throw them at enemies/npcs. Battle Command is a game just like that, but instead of using monsters or medieval stuff like what Little Empires did, it takes on the semi-futuristic military based approach. Battle Commands takes on the strategic approach where you build up structures and units that provide either defense, offense, and/or resources. Each structure is upgradable as long as you are able to pay the costs which can be either through oil or steel, the game’s resource. Base setup is free-form where you are allowed to work within the bounds of the area you are in. As for the game’s structure number limit, it relies on the level of your HQ. So you are forced to adjust your defense to fit the things you have to work with at your base. Moving on to the game’s battle phase. 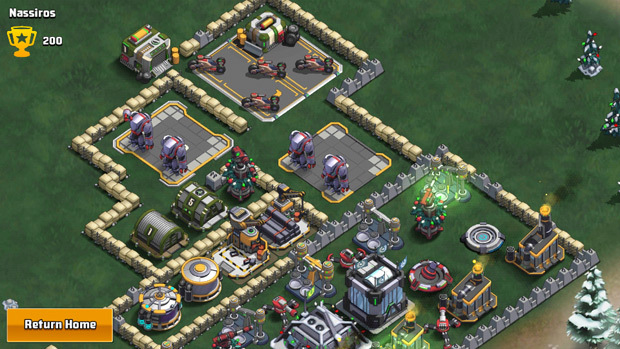 Battle Command follows the steps of Backyard Monsters in terms of attacking bases. 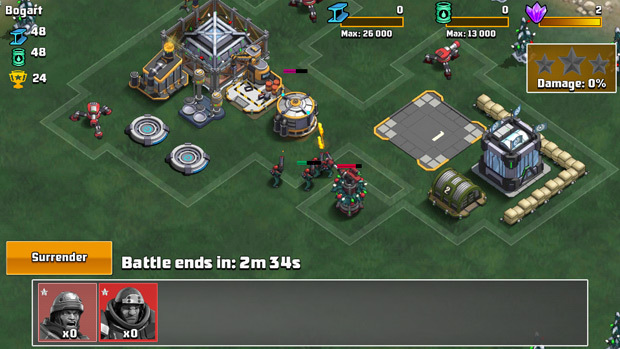 You must place your units within the bounds of your opponent’s base, while your opponent, would need to defend against your attacks. Attacking and Defending is asynchronous. 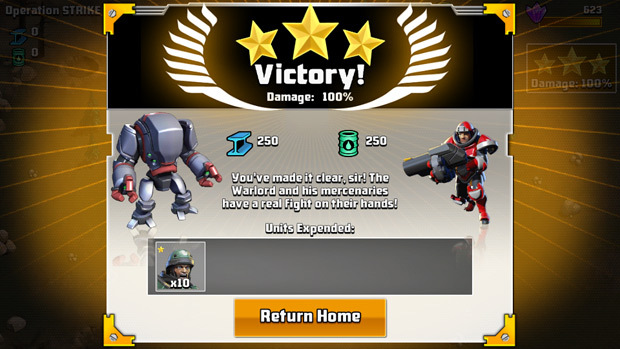 The defending party would need to rely on their base-building skills while the attacker would need to rely on how he/she places his/her units out into the field to provide maximum damage to an opponent’s infrastructure. The battles do not vary between PvP/PvE since the goal is similar. Destroy the enemy base. 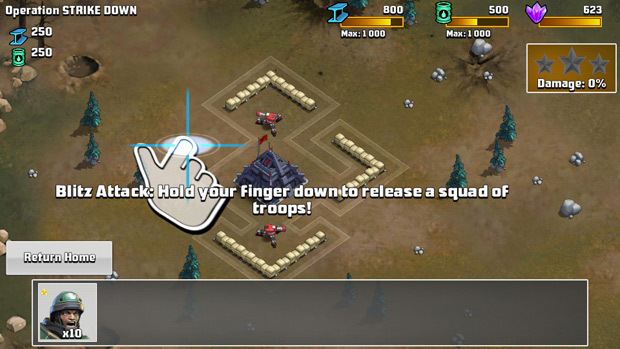 Units that are used in battles or invasions are automatically expended and will not return to your base even if you’re successful in the mission. 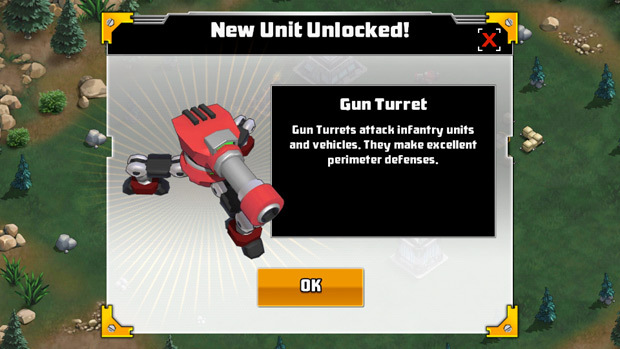 So in retrospect, your units, that come in the form of infantry-based or mech/vehicle based variants come in the form of a “military resource” that you would need to consider as one-time use assets. 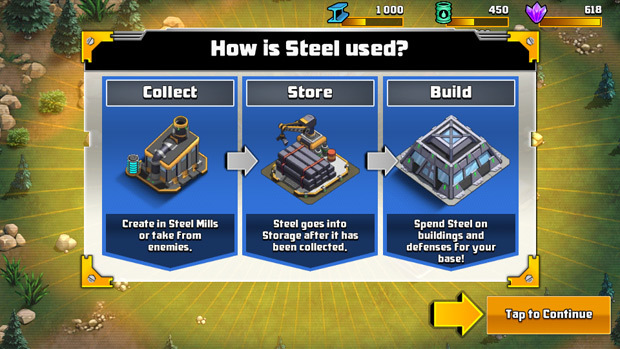 Also similar to strategy games, these units are not open from the start and would require you to do research and create specific structures to hold/make them which adds more to the game’s strategy element since you’ll have to take into consideration base defense as well (with the increase of structures that needs to be defended). The game doesn’t just rely on it’s strategy as it’s main draw. 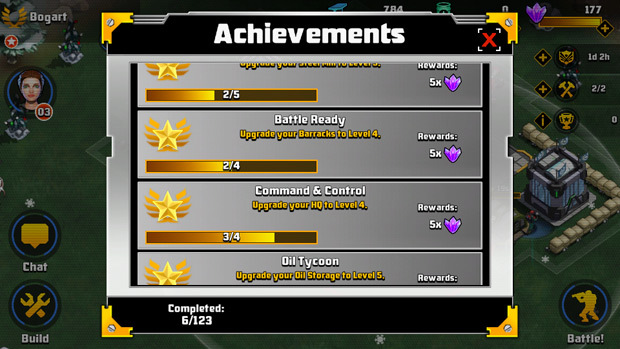 In fact the game has an achievement feature that provides you with the in-game premium currency as rewards. It also has a mission/quest system where you’ll be doing most of your gaming in BC. 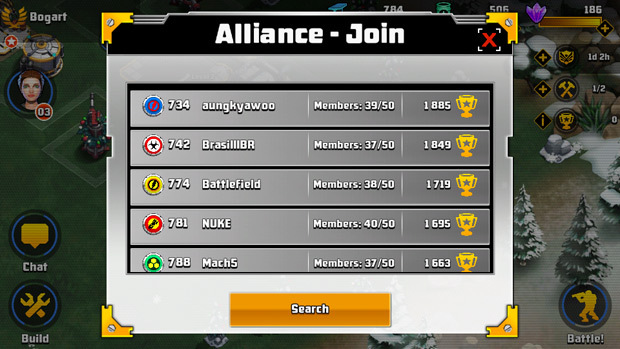 the game also has an alliance system in place that ties neatly to the game’s ranking system. In place of quests, the game uses the Mission system where you would spend the majority of your time since it provides not just helpful hints, but also rewards of resources for every successful mission. Also, the game has a War system in place where you can test out your base setup in a simulated environment using the units that you have. 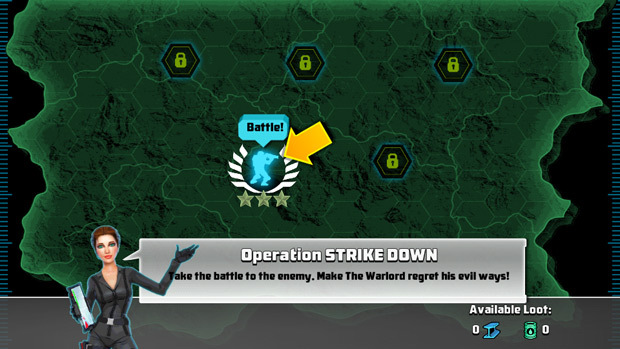 Since Battle Command is a freemium based game, a lot of the game’s features are enhanced by purchasing the premium in-game currency in the form of crystals. Crystals in BC are used to primarily speedup structure upgrades and to compensate for purchases where the player doesn’t have enough resources to pay for the cost. The game does provide “free” crystals via the achievement system but in very small quantities. As for the amount of crystals expended per action, it depends highly on the action you would be doing. The more expensive acts or construction projects, longer a structure is being build higher amounts of crystals would need to be used as payment. 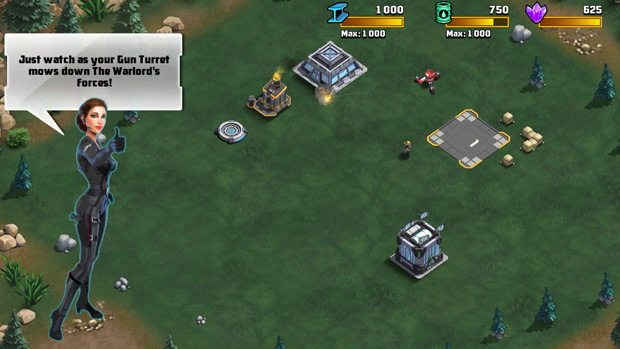 Battle Command is one example of a game that was refitted because the gameplay that it’s based on works on not just a financial level, but on a gamer’s level as well. The problem with BC is that the game starts slapping you with its freemium content as early as its starting stages. 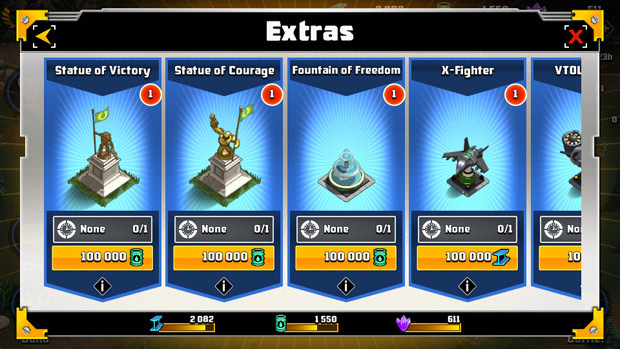 Normally, other freemium games would ease into asking players for their cash. However, BC belongs to the other school of thought and asks from you at the start of the game. 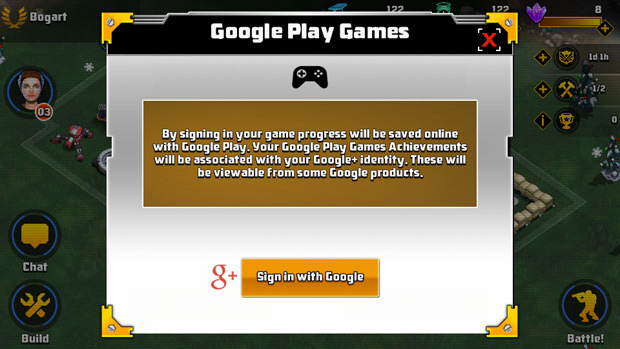 Of course the game doesn’t force you to pay at all. However, in exchange for being a cheapskate, you’ll barely touch the game since EVERYTHING and I mean EVERYTHING takes an excruciating amount of time to be done. Of course that doesn’t mean the game is terrible, by all means compared to the bunch of games that has been released lately, Battle Command scraped (barely) into the decent category. But because of how the premium market system is implemented, it just killed any enjoyment I had playing. Aika Closed Beta 1 ended, but closed beta 2 will begin soon. Aika closed beta 1 keys cannot be used for closed beta 2. Iron Bit has reported the release of update 0.9.2 for Colonies Online. Illyriad has released a new update introducing a new user interface, friends lists, and more.